With the revvll PRO Bundle you get not only the endless rope trainer revvll ONE but also the perfect wall mount. The revvll PRO offers the most versatile rope training in the world. Train strength and endurance with pushing, pulling, and rotating movements against 6 adjustable resistances. With a total weight of less than 6 kg it can be used almost anywhere. Highest quality for private users, personal trainers, and gyms, completely made in Germany. With the Rail Adjust you can fully capitalize on the potential of the revvll PRO rope trainer. The easy height-adjustment allows for quick changes between exercises, the lean measurements make it possible to integrate the Rail Adjust in almost any designated training space. The Rail Adjust is 195 cm long in total and allows for height adjustment over 175 cm. You can quickly change between mounting heights and complete a variable workout with pushing, pulling, and rotating movements. With our bundles we offer you products at a special price, which fit well together and are often bought together. 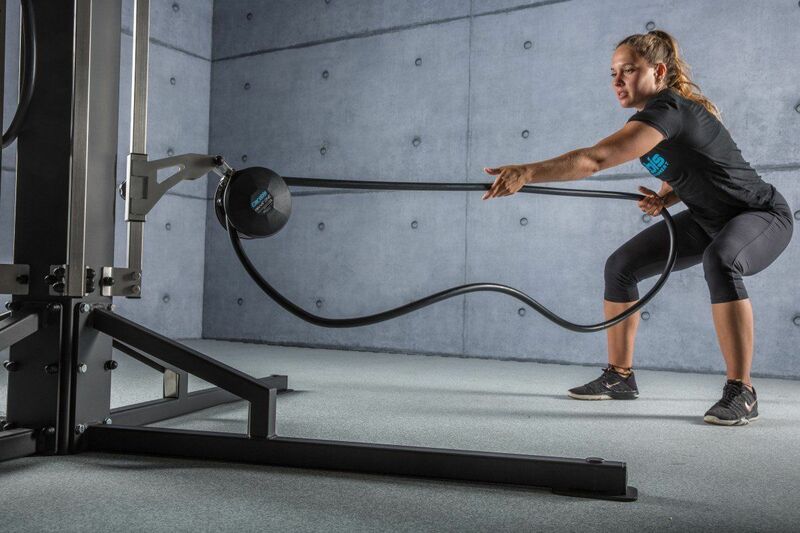 The revvll PRO is our best endless rope trainer. The big advantage of our endless rope trainers is that they can be hung up in many places. Racks are available in the gym, pull-up poles or ceiling mounts at home and stable branches in the wild. But all these suspension points have a disadvantage. The trains are always only possible from top to bottom. Of course you can remove the revvll and reposition it, but that takes time. 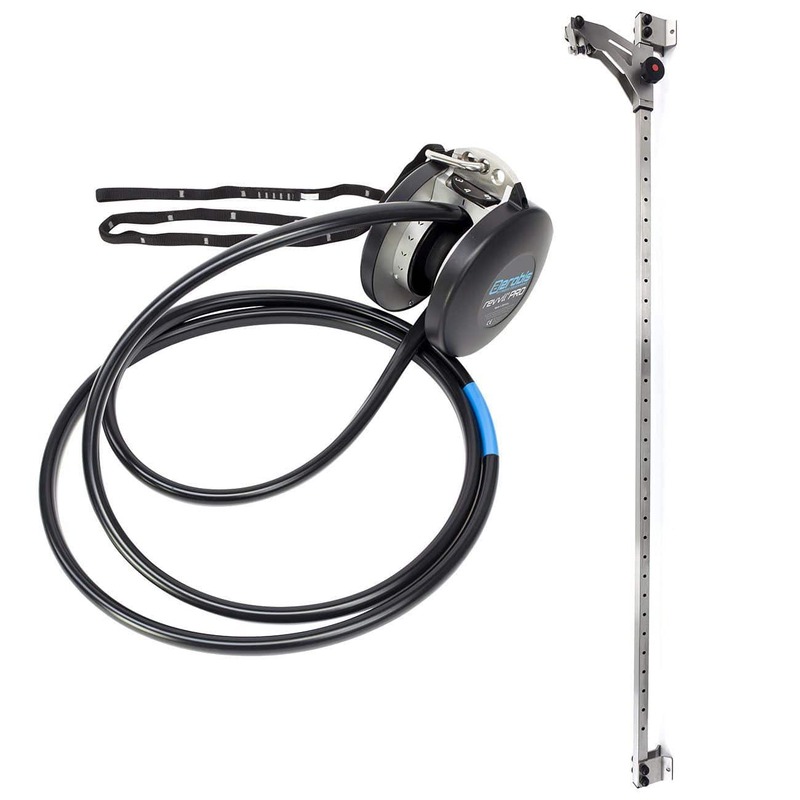 The scope of supply of the revvll PRO Bundle is of course the endless rope trainer revvll PRO and additionally the height adjustable wall mount aerobis rail Adjust. With the aerobis rail adjust as suspension point you can use all pull directions of the rope pull training. You simply have to attach the revvll PRO to the holder and then you can move the endless rope trainer along the whole length of the track in seconds. This gives you the huge advantage of doing pulling exercises from top to bottom, bottom to top and in the horizontal. With the included karabiners and the sling you still have the possibility to use the revvll PRO outside. 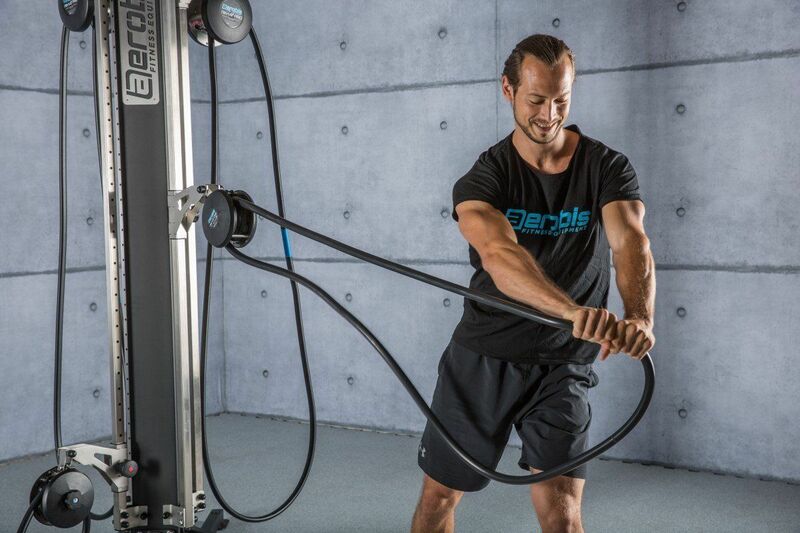 With the revvll PRO bundle you save a lot of time and can use the rope trainer optimally.